Does your boiler require a boiler service? Then get in contact with Clane Gas Services today. Clane Gas Services provides clients with professional boiler servicing. Gas boilers should be serviced annually to keep them running safely and efficiently. A poorly maintained gas boiler can become dirty and less energy efficient over time. A poorly maintained boiler can even begin to leak excessive CO2. Our highly qualified team of boiler service engineers check that a boiler’s CO2 levels are correct. Our service includes nineteen separate checks and tests. We also access the entire boiler to ensure there is no excessive ware. 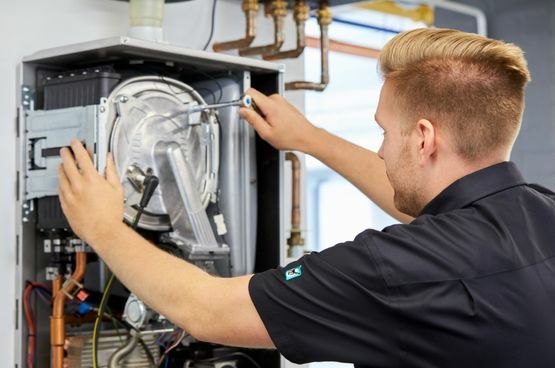 The convenience of our service means we can set-up an annual service of your boiler where we will contact you to organise your next gas boiler service. Book your boiler service today by getting in contact with our offices. Legally, only a fully registered RGI installer can service a gas boiler. Every member of our team is fully registered with the registered gas installers of Ireland. We also ensure that your boiler is running at optimum efficiency and that the CO2 levels are normal. Our boiler maintenance service ensures that your gas boiler is safe and efficient. A domestic wall hung boiler service costs €95 (T&C apply). For more information on our range of professional gas boiler services, get in contact with Clane Gas Services today.